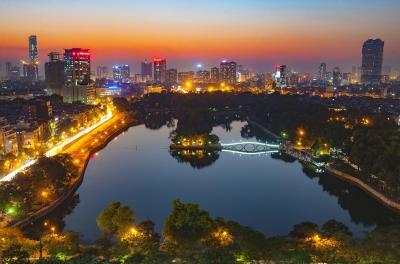 Lock in a great price for Hanoi Daewoo Hotel – rated 8.1 by recent guests! 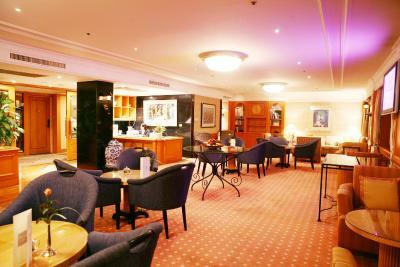 Great Business Hotel with spacious and clean room, fast wifi and pretty good food options. Got upgrade to the deluxe suite and that was a plus. 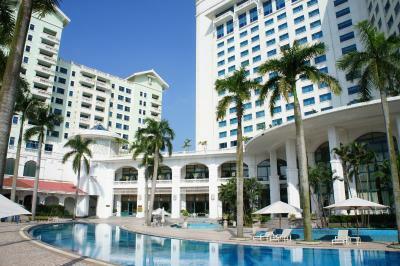 Quick room service, nice staff, big Rooms, Huge pool. The huge swimming pool. The main restaurant was also very good. Very quiet aircon, comfortable bed. Nice pool area. Close to Lotte shopping mall. The hotel is comfortable, with nice room service. David is always helpful and trying to make our stay enjoyable. Thank you. 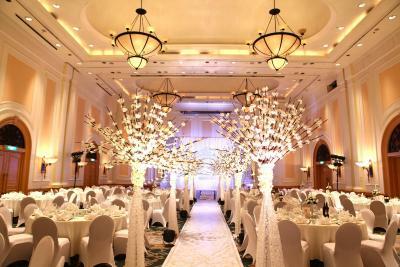 The hotel is ideally located in Hanoi and the breakfast spread is very elaborate. 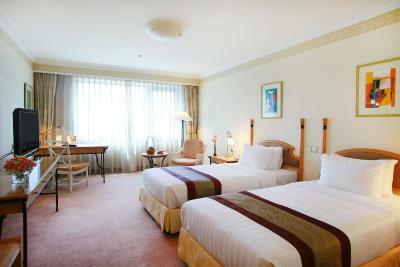 Generally the hotel is high quality and convenient for business with super staff. Really, really nice and proactive staff. Beautiful pool. 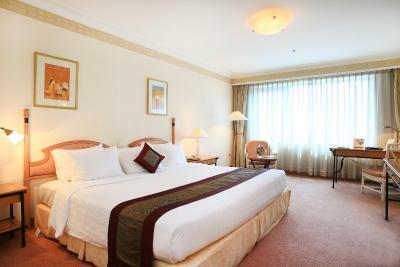 Hanoi Daewoo Hotel This rating is a reflection of how the property compares to the industry standard when it comes to price, facilities and services available. It's based on a self-evaluation by the property. Use this rating to help choose your stay! 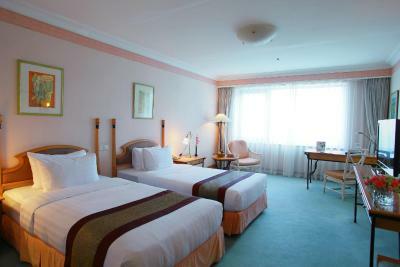 Open since 1996, Hanoi Daewoo Hotel is located near the several embassies and parks. 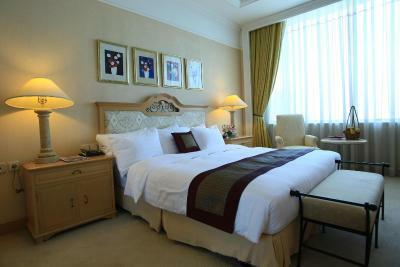 Elegantly furnished, the hotel offers well-appointed guestrooms, meeting and banquet facilities. 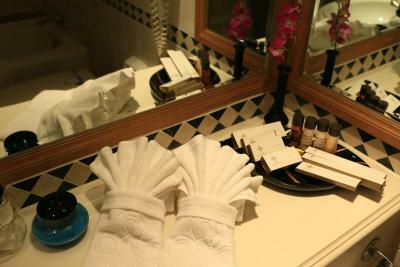 The hotel features a spa center and gardens with the largest swimming pool in the city. Stylishly decorated, all rooms have complimentary WiFi and feature wooden furnishings and original artworks of local and international artists. 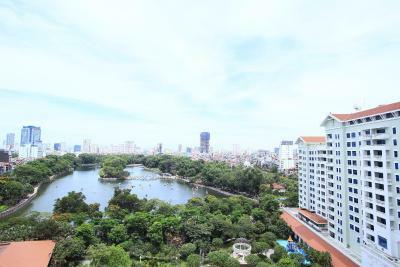 Guests can enjoy the view of Hanoi city and Thu Le Park and Lake from the window. 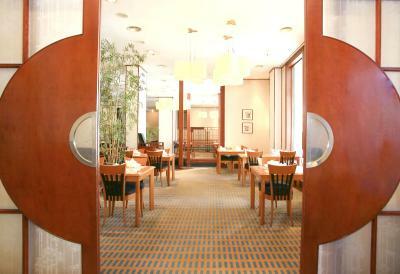 The hotel offers 3 restaurants serving local and international cuisine, as well as a bar and a bakery. Guests can enjoy seasonal Japanese specialties at the restaurant Edo, while a homemade cake is served at the Palm Court Lobby Lounge. In-room dining is available for 24 hours. 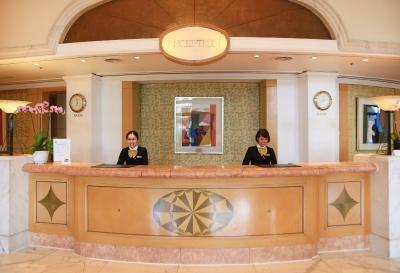 For guests' convenience, there is a concierge service, travel desk, florist and gift shop. Laundry service and limousine service are available on site. 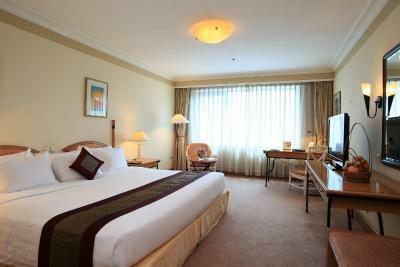 When would you like to stay at Hanoi Daewoo Hotel? Located between the 4th and 13th floors with sweeping views over the vibrant city, rooms are well furnished with a LCD television, well-stocked mini-bar and tea/coffee making facilities. Marble bathroom contains a separate bathtub and shower, hairdryer and bathrobes. 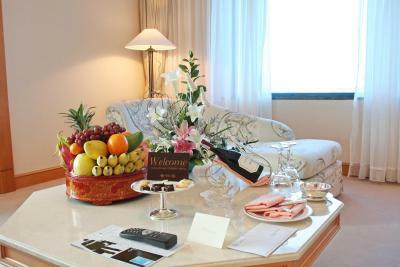 Air-conditioned rooms are furnished with a flat-screen cable TV, a well-stocked mini-bar and tea/coffee-making facilities. Private bathrooms provide a bathtub, hairdryer and bathrobe. 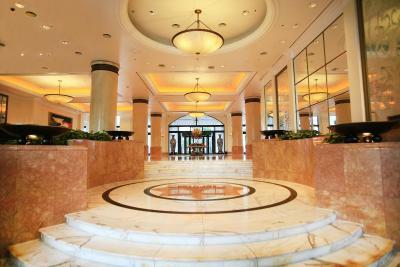 Rooms are located on floors 14 to 17 and offer city or lake views and access to the exclusive privileges of the Club Lounge. 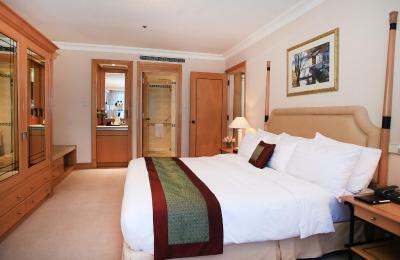 Air-conditioned rooms are furnished with a cable LED TV, a well-stocked mini-bar and tea/coffee-making facilities. 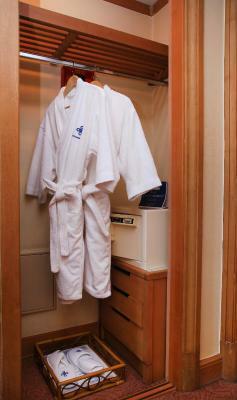 Private bathrooms provide a bathtub, hairdryer and bathrobe. Suites are more spacious and feature a living area with sofa. 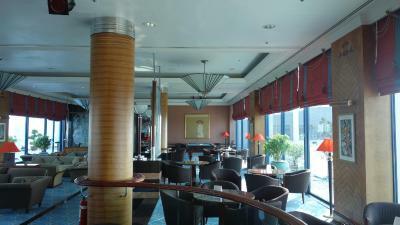 They offer large windows with views of the Thu Le Lake or the City skyline. 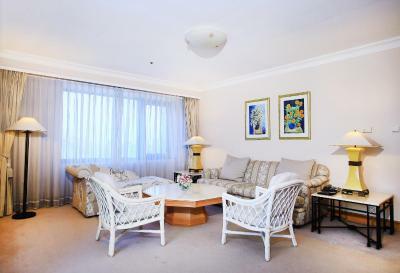 Luxuriously furnished, suite offers breathtaking views of Thu Le Lake and the vibrant city. 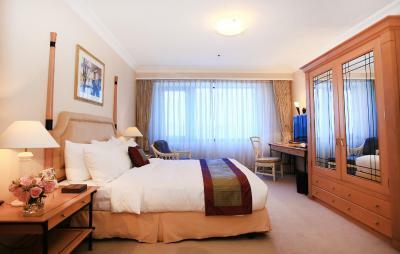 These spacious suites feature a comfortable bedroom and spacious work area. 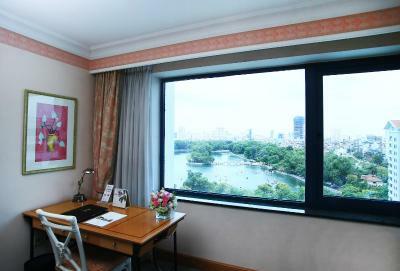 Elegantly-designed, this air-conditioned room features a large window that opens up to views of Thu Le Lake. It is fitted with with a flat-screen satellite TV and a desk. The private bathroom includes a hairdryer and slippers. 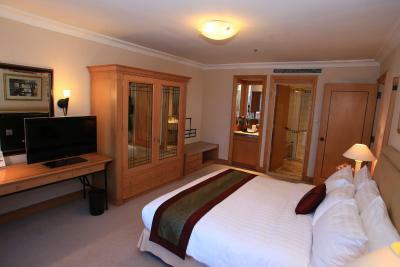 Luxuriously furnished, this suite feature a comfortable bedroom and spacious work area. 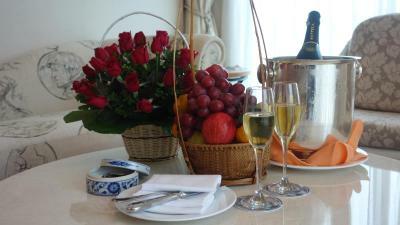 House Rules Hanoi Daewoo Hotel takes special requests – add in the next step! 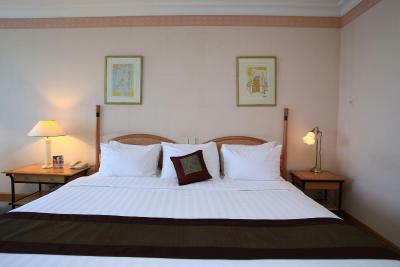 One older child or adult is charged VND 1074595.63 per person per night in an extra bed. Hanoi Daewoo Hotel accepts these cards and reserves the right to temporarily hold an amount prior to arrival. 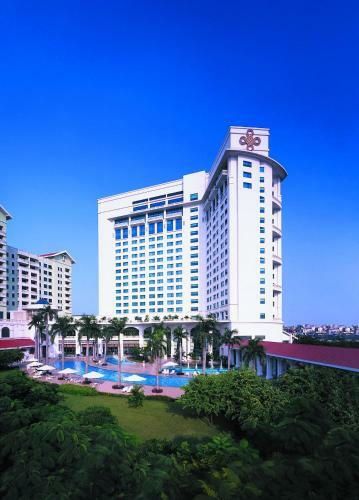 Please inform Hanoi Daewoo Hotel of your expected arrival time in advance. You can use the Special Requests box when booking, or contact the property directly using the contact details in your confirmation. In the past few months Daewoo has changed the wifi access and it is really very inconvenient. Cell phones do not stay logged on to the wifi and I found that a number of important incoming VOIP calls were missed because the the phone had dropped off the wifi. You have to keep reconnecting to check if you have missed calls. It really takes the edge of Daewoo as a location for business. Breakfast buffet: It was hard to find out the eggs cooking station. Location was separated. The hotel has all the comforts but is a bit dated. Pool is beautiful, internet works well. 1.The vip check-in was slower than the normal check-in. 2. My room was not ready at 15.00. 3. Due to the havy construction work next to the Hotel during the full night made my sleep "unforgatable". 4. The vip lounge service and breakfast is poor at level 16. The staff at normal reception is good. The massage center is very good just difficult to find it in the hotel as it is not within the hotel building. 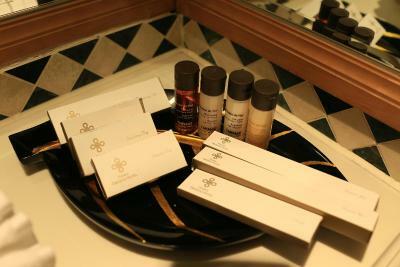 every thing inside the hotel. Elevator can be slow during the peak hours, one of them was out of service on that day. Gym is nice, swimming pool is big, too.